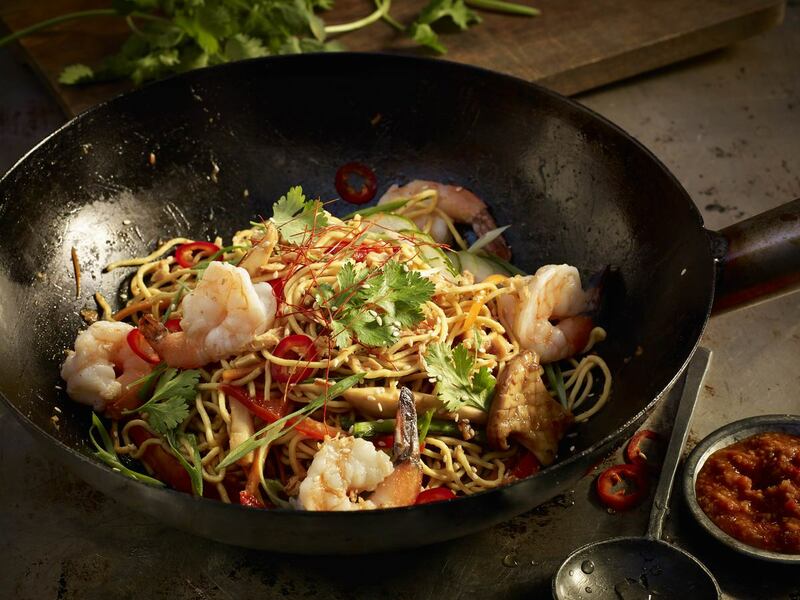 Earls Kitchen + Bar | News Stories | Kung Pao! The Hunan Kung Pao is back on the menu. The same recipe, the same noodles, just the way you like it. Back in the eighties former culinary development chef Chuck Currie wanted to introduce an Asian noodle dish, though strangely we did it before we actually had Asian noodles…Chuck came up with our first dish using the same fettuccini noodle we used for our Alfredo pasta. That really wasn’t quite the right thing to do and we knew it, so we recorded a radio spot beckoning people to “Bring their accordions and their chopsticks down to Earls.” Oh the eighties, not only a fashion wasteland but also a culinary one as well. But our culinary consciousness had been raised (that sort of thing happened back then), so we really did listen when George Piper, our long time wine purchaser, started talking and just wouldn’t stop about a dish he’d eaten in San Francisco’s Chinatown at a place called Henry’s Hunan Restaurant. He even brought back a cookbook and urged Chuck to make the dish, called Kung Pao. Always up to a challenge, Chuck did so, but no one really cared for it, not even George. The dish just didn’t work. Chuck and George returned to San Francisco in search of great Asian noodle houses that would inspire a recipe that Chuck could create. Fortunately they stumbled, rather late at night, back into Henry’s. Even in their state, the two could tell that the cookbook had omitted a number of key ingredients. The food in the restaurant was way spicier, more complex, more tightly knitted, and just plain better. Chuck came back to Vancouver and created our own version, which we called Hunan Kung Pao (Hunan being the chili’s we used). But there was one problem with the dish, or rather with the rather sensitive North American palates of the time, it was spicy! We decided to give guests the option of ordering it as hot as they wanted, and someone — Chuck is pretty sure it was him — came up with the idea of rating the options with from one to five peppers. As far as we know, that was the first time a restaurant had ever done that, though it certainly wasn’t the last. Back then the quality of Asian ingredients available was not what they are now, and as Asian food more and more influenced North American cuisine we began to think we needed to update the dish. We made several small tweaks over the years, really just using the same recipe but with much better ingredients. In 2013, we were thrilled to have award-winning chef David Wong join us as part of our Test Kitchen’s “Chef Collective”. Dave was a Bocuse d’Or competitor, a culinary award winner, who had received great accolades for his previous restaurant menu featuring cooking from the Asian Pacific Rim, which included elevated Asian street food taken to a fine dining level. It seemed foolish not to have him look at the Kung Pao; after all, this was his area of expertise. He wasn’t a fan of the noodle we were using - it was a chef thing - and wanted to lighten up the sauce. 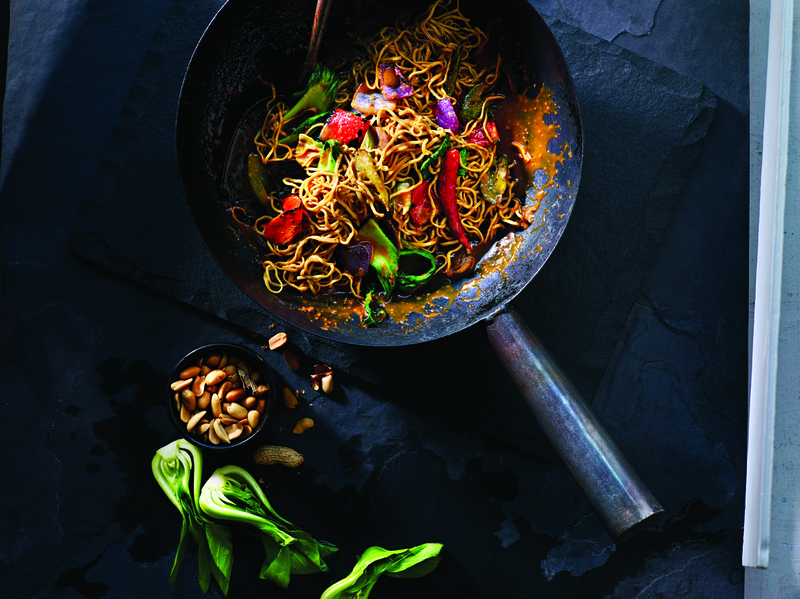 He created an outstanding new noodle dish, still a Kung Pao (Kung Pao is the name for a spicy stir-fry dish made with chicken, peanuts, vegetables and chili peppers). He made it with a lighter, brighter profile. He added enticing ingredients like lime leaves, Fresno chilies, pickled cucumbers, chili threads and changed the noodle to Shanghai noodles. Even his authentic made-from-scratch hot sauce, handed down from his mother, was a new addition. The dish was completely re-invented and it was fantastic. However, it really wasn't the Hunan Kung Pao, it had become a completely different dish. For those of you new to Earls, you must be thinking, sounds great! I can hardly wait to try this dish - and you did, and you loved it! But if you were a long time, loyal guest of Earls and a long time fan of the original Hunan Kung Pao, you weren't as fond. You put up with us elevating ingredients over the years. You were OK when we switched the vegetables in the stir fry to an organic selection, and you understood when we felt the need to cut the salt back a wee bit. But this new dish would not do! It was not the Hunan Kung Pao you remembered. You called. You commented. You tweeted. You wrote – long hand yet! You wrote in through our website and emailed directly. Yes, you agreed, the new dish was excellent. You nodded your head as we explained that we could not just stay the same, we had to move forward...but you wouldn’t hear of it. 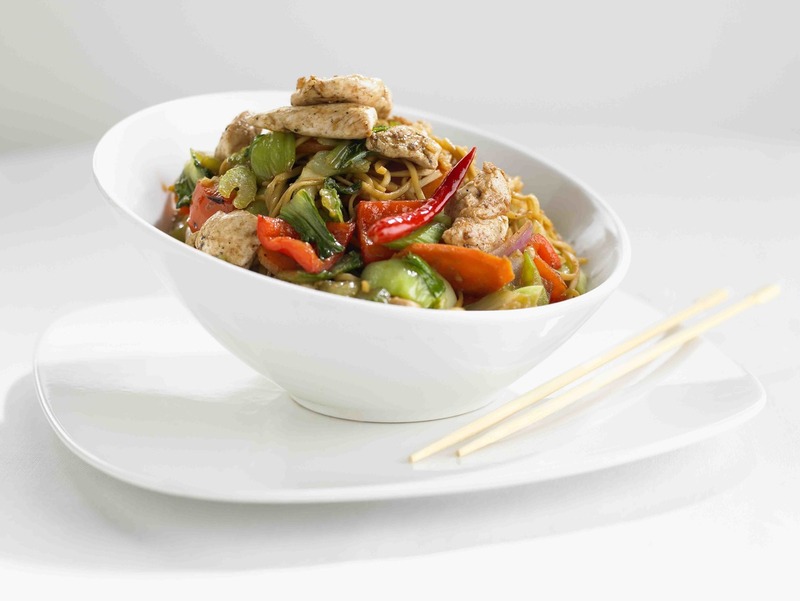 It wasn’t the original Hunan Kung Pao dish and you wanted it back! So, here it is. We are humbled by your loyalty. Tickled by your passion and thrilled that you love one of our dishes enough to kick up a fuss. The Hunan Kung Pao is back on the menu. The same recipe, the same noodles, just the way you like it. Thank you for your feedback. We heard you. 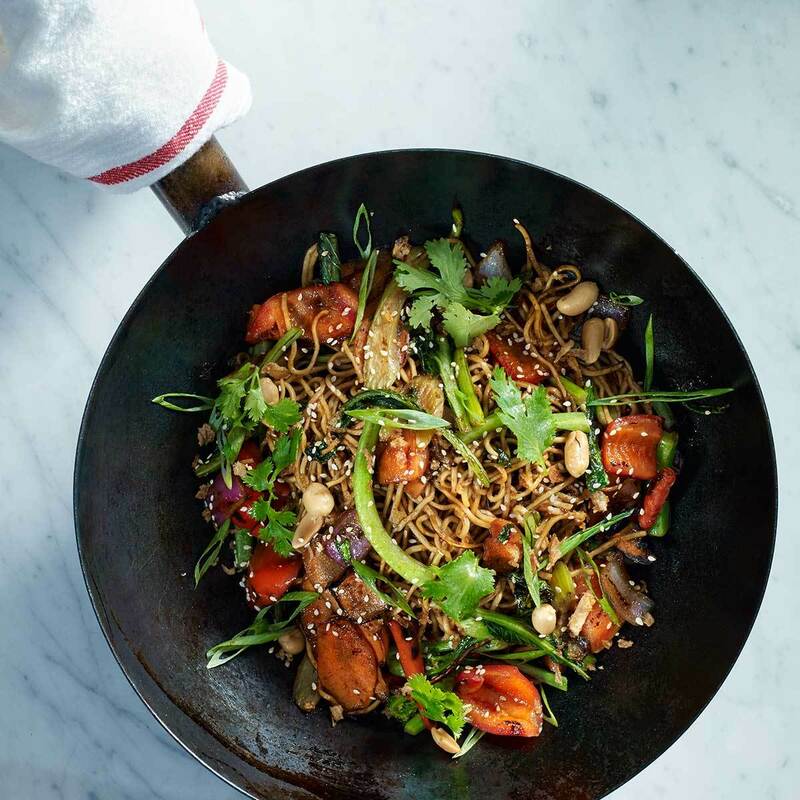 Along with the pictures of the Hunan Kung Pao over the years, we have included the recipe for Chef David Wong’s Kung Pao. It’s a masterful dish and if you happen to have the 100 or so ingredients that go into it, you can make it at home.